Srinagar: Kashmir meteorological department has forecast a fresh spell of rains and snowfall in the Kashmir Valley beginning from Today afternoon. 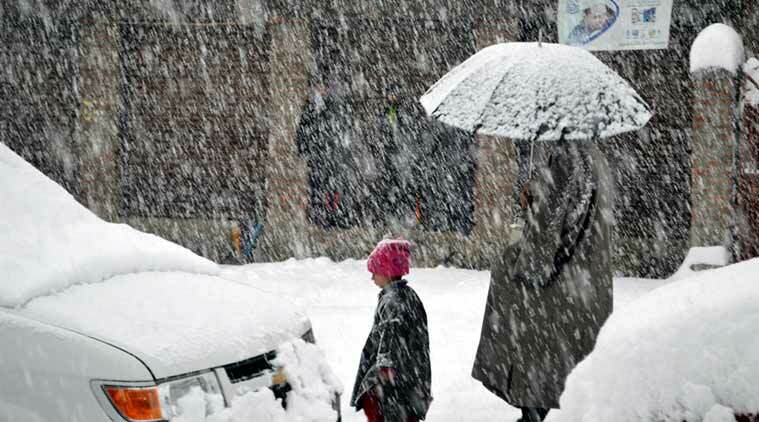 An official of the department said that moderate snowfall is likely to occur across Kashmir from today afternoon. The divisional administration has issued avalanche advisory at several places in the valley. On Tuesday, the minimum temperature in Srinagar was 0.2 degrees Celsius while in Pahalgam and Gulmarg, it was minus 2.2 and minus 5.0 respectively. Leh recorded minus 7.2 degrees Celsius, Kargil minus 17.0 and Drass minus 10.1.